Ferrari was dogged by different reliability issues over the last two Grand Prix weekends. Both Kimi Räikkönen and Sebastian Vettel’s car suffered fatal technical gremlins in the Malaysian and the Japanese GP. In Malaysia, Sebastian Vettel could not set a lap time during the qualifying session while Kimi Räikkönen who only missed the pole position by 0.045 thousands of a second to Lewis Hamilton was forced to retire even before the race started. On Monday, the Italian press was as expected cruelly critical towards the fabled Italian marque and claimed that Maranello destroyed everything it has built so far this season. Sebastian Vettel who led the championship for the majority of the season has fallen back behind Lewis Hamilton and his deficit of 59 points means his chances are only mathematical. This follows an astonishing resurgence of the Italian team. Ferrari is the first team which could mount a real challenge to the Mercedes squad which has showed a total dominance since the inception of the new V6 hybrid era. With a heavily updated power unit and a convincing downforce level through medium and high-speed bends, Ferrari won four races and lost more races only due to misfortune and reliability woes. In Malaysia, Ferrari had the same engine problem on both cars. Vettel could not set any time in the qualifying which sent the German back to the field while his team-mate experienced the same woes on his way to the grid on his reconnaissance laps. Ferrari sent the malfunctioning power units back to Maranello after the GP and the engineers identified the root of the problems on Monday. They found cracks on the carbon pipes which connect the turbo with the engine. The components got reinforced. 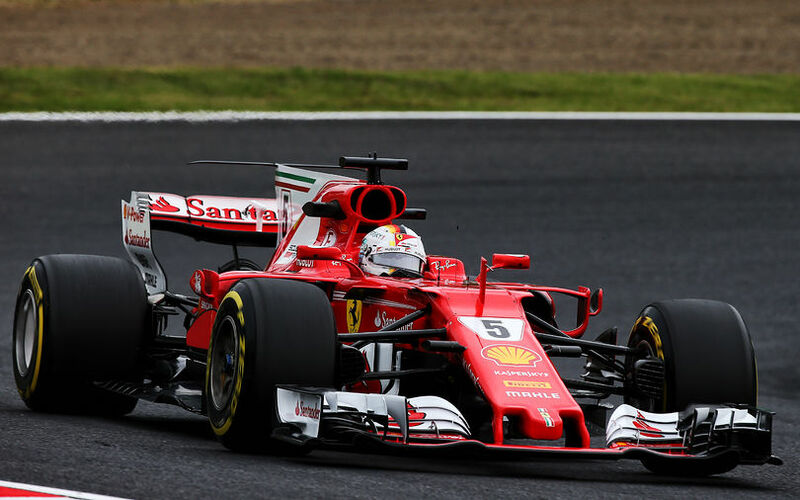 In Japan, Ferrari was not the leading force in the qualifying session, but its race pace looked superior like in Malaysia a week before. Vettel could start the race from the second place, but the German was hit by engine issues on his reconnaissance laps. The quadruple driver recognized that the engine does not deliver the right amount of power and the engineers could see immediately on the telemetry that the problem is inside the combustion engine. The team wanted to fix the problem on the grid. When it identified that a spark plug was to blame for the malfunction, it was clear that there was no time to change that. Unlike in a road car, spark plugs can only be changed when the whole airbox is removed. Vettel was asked to restart the whole electronic system, but that did not bring any remedy. Ironically, Ferrari’s he spark plug is produced by NGK which has its headquarter in Japan, Nagoya which is located only 60km from Suzuka. The spark plug which ruined the race and probably the whole championship costs 59EUR. Ferrari’s president Sergio Marchionne urged his team to reinforce its quality control to avoid reliability woes in the future. “Without being arrogant I think Ferrari is at or beyond Mercedes’ level today," Marchionne added. "I have immense confidence that in the next four races we will be able to close the gap to them." "We need to renew our commitment to the quality of the components we use for F1. On at least three occasions it has had a devastating impact on the Scuderia’s performance. We will fix it," concluded the American-Italian.